The push for improved leg protection in the Virgin Australia Supercars Championship will step up a gear at this weekend’s Red Rooster Sydney SuperSprint. 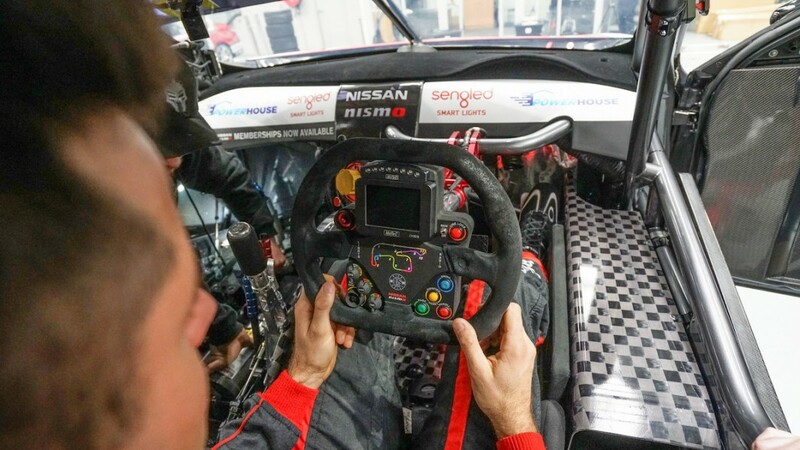 Multiple teams are set to debut their upgraded cockpit designs at the event ahead of new regulations that will come into force at next month's Wilson Security Sandown 500. Teams have been working away on their solutions to the new requirements since they were announced in April. Shell V-Power Racing has been running its design since last year’s Sandown event, while Prodrive adopted it onto its Fords earlier this season. Nissan Motorsport, Triple Eight and Garry Rogers Motorsport have all confirmed that they will debut their systems this weekend, giving the chance to fine-tune them before Sandown. Rick Kelly and Craig Lowndes will debut new designs from Nissan Motorsport and Triple Eight respectively, while GRM has fitted its system to both of its Holdens. Kelly suffered a minor injury during a crash at Symmons Plains earlier this year, sustaining two muscle tears in his left leg. The push for greater leg protection had started back at Bathurst in 2015 where Chaz Mostert sustained significant injuries against his car's gear shifter. Team co-owner Todd Kelly says that designing and fitting the upgrade to the Altimas has been a major task but is pleased to see a step forward for the category. "We didn’t have a lot of choice as far as how we implemented the leg protection system,” explained Kelly. “Everything else available from other teams wouldn't fit in our car for a number of reasons - there’s a number of clashes with how things are mounted and how things are made. “We would have needed to cut up another team’s leg protection to the point where it really wasn’t worth trying to do that. It was actually easier to tool up and design our own, which is a pretty big job. “You need to quite a bit of CAD work and it’s a specific design and material spec that Supercars have specified. The tooling, moulds and production is a reasonable exercise but a really good thing that the category is doing. “It certainly makes you feel a little bit better as a driver knowing that the level of safety is improving above it’s already excellent standard. “We’ve pushed on as hard as we could from the point we knew we needed to produce our own. So we are rolling out one this weekend in one of the cars and it looks really good.